Antiquae Urbis Romae... - JANSSONIUS, J. Size : 27.0 x 19.6 inches. / 68.5 x 49.8 cm. 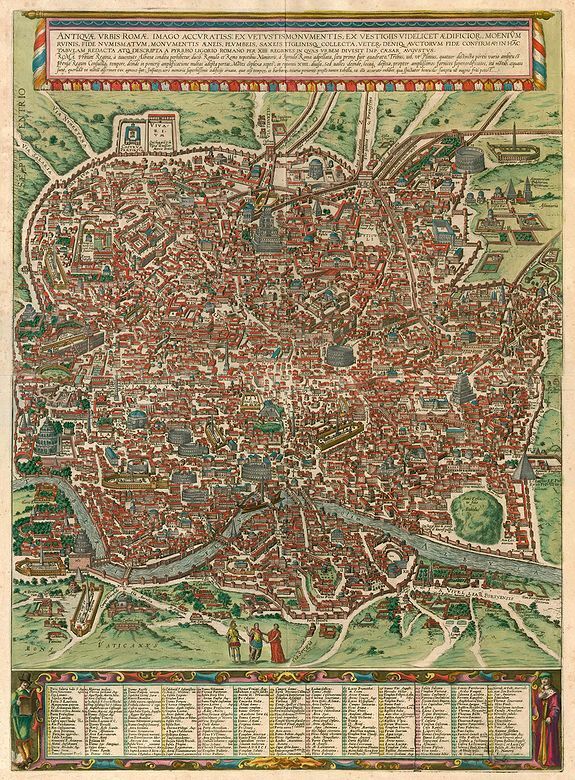 Large view of ancient Rome on two joined sheets. Rare. Originally engraved for Braun and Hogenberg, the plates eventually passed to Joannes Janssonius who reissued the plans in Amsterdam in 1657, having removed the costumed figures which by this time were no longer of contemporary interest.